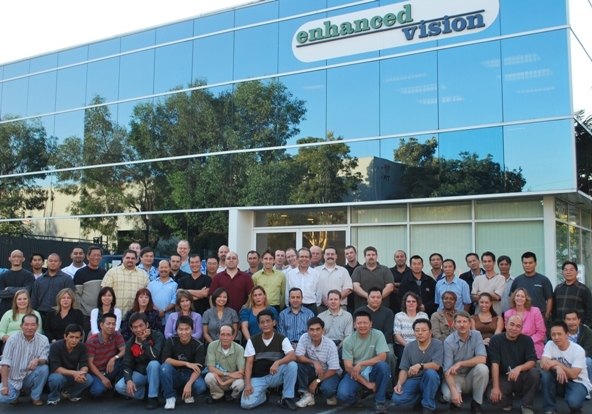 Enhanced Vision, America’s leading manufacturer of magnifying solutions for the visually impaired, was selected as one of Orange County’s Top Workplaces in 2010 by the Orange County Register. Enhanced Vision was ranked in the Top 75 Workplaces in Orange County. In addition, Enhanced Vision was also ranked high among the Top Small Orange County workplace category. Top Workplace award, which is based on the results of an independent survey given to all employees, is a true declaration of employees’ confidence in the company and its mission. The survey allowed employees to rate Enhanced Vision on several categories such as, Execution, Career, Management, Work Conditions, Pay and Benefits. Enhanced Vision is honored to be named as one of the Top Workplaces for employees in Orange County for another year in a row. Their employees take great pride in the products they represent and are dedicated to helping customers have grand success with the products.